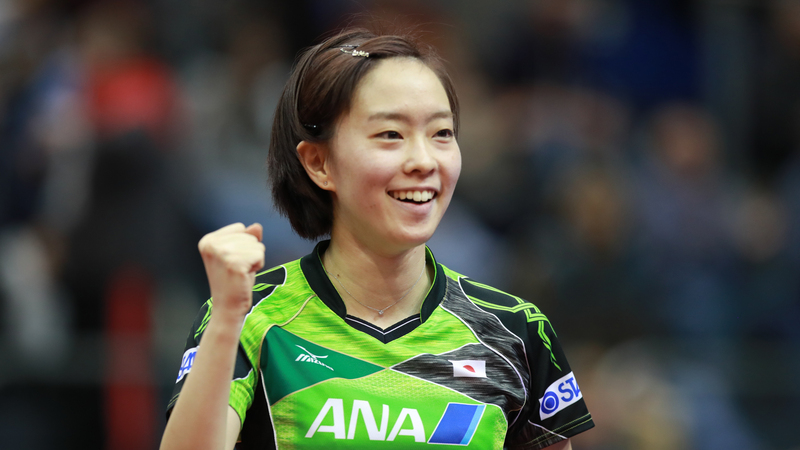 The full player line-up for the 2018 ITTF Team World Cup is now known and fans heading to the event have plenty to be excited about with an all-star cast heading to the Copper Box Arena in London to compete for international glory from Thursday 22nd to Sunday 25th February. Paul Drinkhall, Liam Pitchford and Samuel Walker pulled off an amazing achievement at the Perfect 2016 World Team Championships, defying the odds to finish in the bronze medal position in Kuala Lumpur. The trio, joined by David McBeath and Tom Jarvis, will be hoping for another strong outing and will have the backing of the home crowd as an additional benefit. England will also compete in the Women’s Team event with Tin-Tin Ho leading a very youthful line-up. Maria Tsaptsinos, Denise Payet and Charlotte Bardsley also make the squad alongside the experienced Kelly Sibley. Surely the favourite to secure both titles in London is Team China. World and Olympic champion Ding Ning will represent China in the Women’s Team category with Zhu Yuling, Liu Shiwen, Chen Xingtong and Wang Manyu also earning places in the team. The Chinese male contingent of Fan Zhendong, Xu Xin, Lin Gaoyuan, Ma Long and Yu Ziyang is also a force to be reckoned with but could there be possible title challenges from Germany and Japan? World no.1 and current holder of the Men’s World Cup Dimitrij Ovtcharov will spearhead the German team at the Copper Box Arena with Timo Boll, Ruwen Filus, Bastian Steger and Benedikt Duda also making coach Jörg Rosskopf’s squad. One of the most exciting young prospects in the game, 14-year-old star Tomokazu Harimoto features in the Japanese men’s squad alongside Koki Niwa, Yuya Oshima and Jin Ueda. However, arguably the nation’s best chance of upsetting the strong Chinese line-up comes in the Women’s Team draw with Japan fielding Kasumi Ishikawa, Mima Ito, Miu Hirano and Hina Hayata. Romania caused a major shock last year on the continental scene with a gold medal finish in the Women’s Team competition at the Liebherr 2017 European Championships. Elizabeta Samara, Bernadette Szocs, Adina Diaconu and Daniela Monteiro Dodean receive call-ups to represent the team yet again but can they replicate their continental success on the world stage? You can find the full entry list for the 2018 ITTF Team World Cup here.